Scandinavian brand Weekday are one of the many fashionable arms of the H&M Group, and they’ve raised the stakes for swimwear this summer. 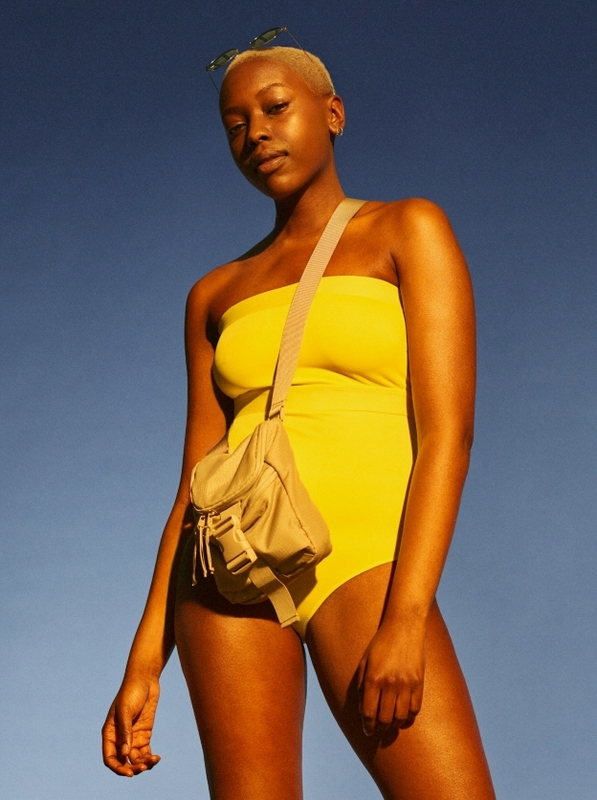 Made entirely from waste materials such as polyamide and polyester, the new Weekday swimwear collection offers simple, sporty basics for both men and women. In a refreshing new campaign, the brand also embraced diverse casting, supporting body positive styling throughout. As a collection, there’s endless options. 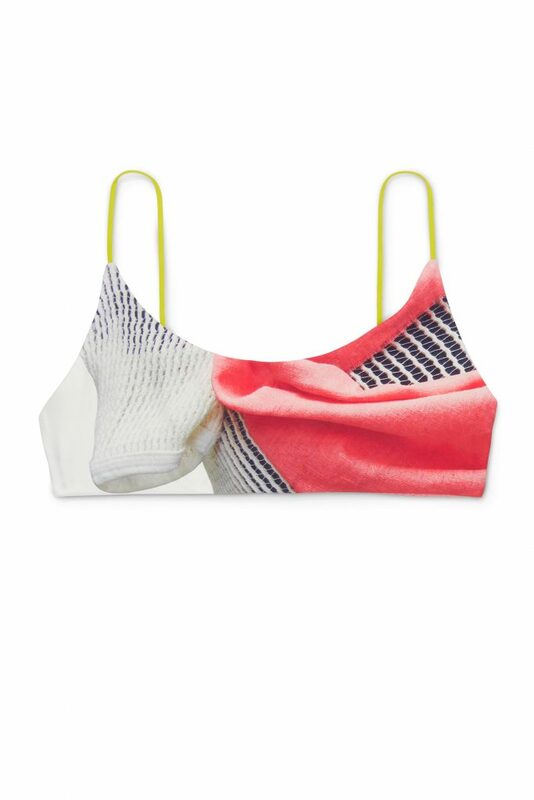 For women, bright red and yellow crop tops offer a refreshing update on the usual silhouettes, and for classic looks there’s triangle and scalloped tops in pastel pinks, greens and blues, as well as inky blacks. 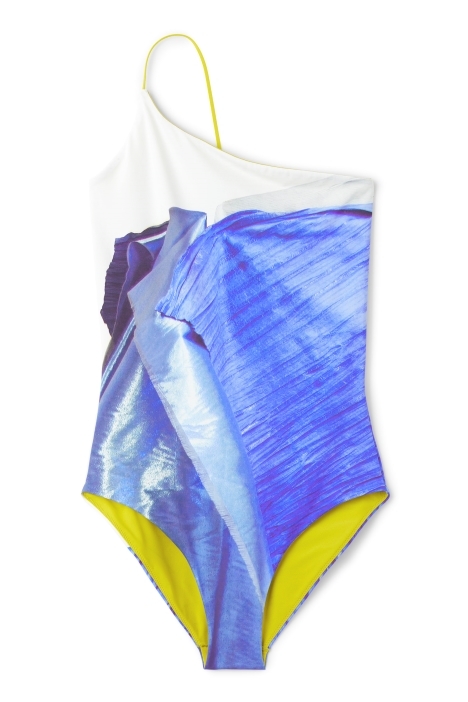 Bottoms come high waisted or with string ties, and the swimsuit designs are full of racer backs. The asymmetric ‘Nola’ design is perfect for making a statement on the sand, while floral prints are a must-have if you’re looking to take yourself straight from the pool and into the beach bar. They look so good you’ll probably find it hard to take them off, and the tops are perfect for pairing with a-line skirts, or under spaghetti strap 90s dresses. For men, the collection is equally versatile. Shorts in bright colours and white piping detail again offer a sporty take on beachwear, while graphic prints give a summery update to the classic style. The affordable prices (designs start at £8) also mean there’s really no excuse not to dive in and embrace ethical style this summer. The move comes as H&M Group has, more generally, upped its commitment to adopting a sustainable model for their brands. They recently sponsored the Global Fashion Summit in Copenhagen, in which ideas around how to optimise a commercially viable, circular model were discussed and debated. While sustainable fashion has historically been spurned by the industry as ‘uncool’, initiatives such as Weekday’s are guaranteed to make a positive impact on how sustainability is viewed, which will lead to exciting change in the long-term. Shop for highlights from Weekday’s swimwear collection below.